I hope you are enjoying this Valentine's Day weekend with your sweetheart. My Valentine (aka husband) was sweet enough to get me a cotton candy machine to celebrate our love (and my sweet tooth). I'm currently working on that big commission that I was talking about in the last post but still managed to create some new product updates! First update - CAKES! You can check out each cake individually in the Cakes menu. 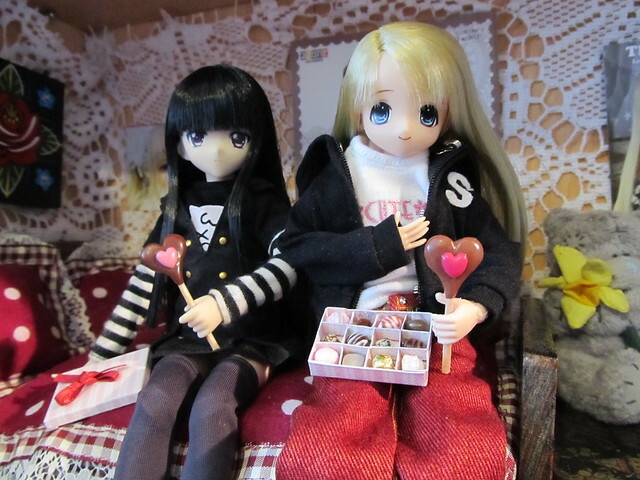 Naru and Maya are testing out the new cake over a cup of tea. 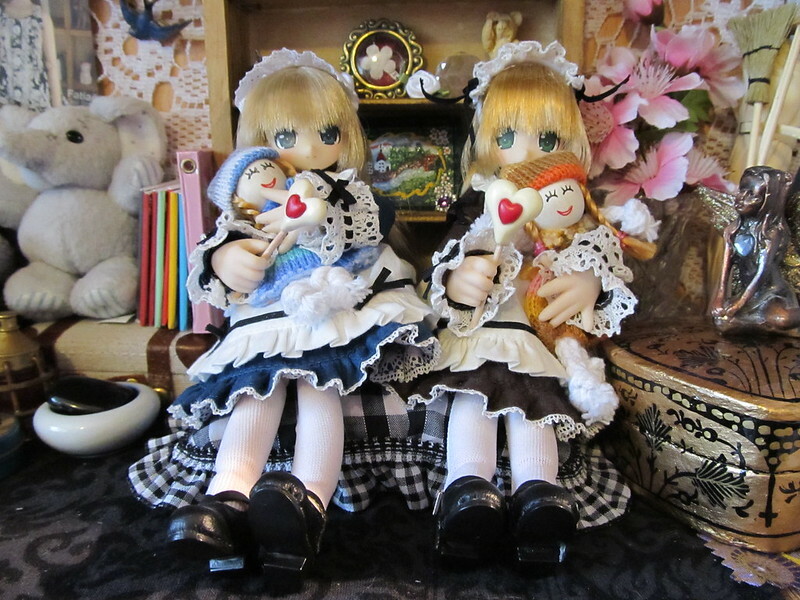 Naru asks you to join them. We have also been enjoying the Sochi 2014 Winter Olympics. It's a great excuse to make these flag cookies so your dolls can support their favourite teams over a cuppa! 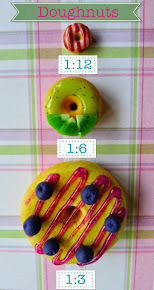 The icing for these cookies had to be done using a needle since it requires fine and intricate craftsmanship! Maya and Naru loves watching the figure skating event. Maya gets a bit over-excited when she cheers on her favourite team. 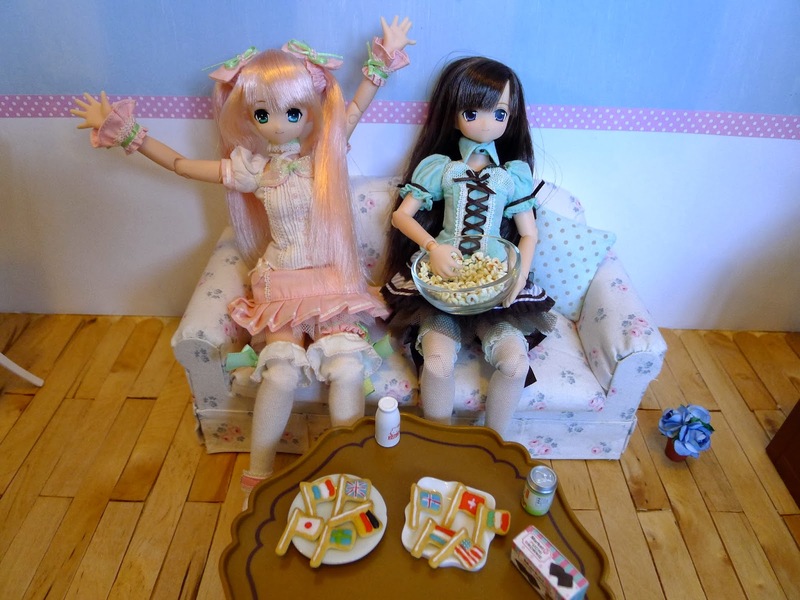 Naru enjoys some Littlest Sweet Shop popcorn which is a great snack for TV time. Our last update is in the Ice Cream menu! If you like Littlest Sweet Shop products and would like to do a swap for them, please check out the Swap/Trade program. I have listed the items that I want in exchange with ANY Littlest Sweet Shop product. Please visit this page if you are interested. Maya and Naru loves swapping especially when it comes with free friendship! OK, that's all for now. See you soon! Ice cream cake and new updates!